I know it's been so long since my last post but now I'm back from honeymooning in Cancun and Paris so it's back to the kitchen for me. Being the beginning of the year I, like everyone else, am going the SUPER healthy route till I get rid of the excess holiday flab. That means nothing crusty, cheesy or buttery for our usually indulgent Sunday dinner....I know, sad but gotta do it! Last week I made us my very first venison roast which was a success so I decided to go for venison again this Sunday. I buy the venison from a farmers market stall called South Downs Venison which also has other game meats like partridge and rabbit. I'm currently cutting out any meat that's been mass produced and pumped full of antibiotics and hormones which has opened me up trying new meats that come from natural sources. I'd always shied away from venison because what I'd tasted before was super gamey and tough but this venison is totally different. I'd describe the flavor more as rich and meaty and the texture is that of a fillet mignon steak. Unbelievably tasty! And not only is it delicious, it's more nutritious than beef too! Extra high in iron, vitamins and minerals, low in fat and cholesterol and most importantly free from chemicals. I picked some more up today to make a venison stew with lots of veggies in the slow cooker. 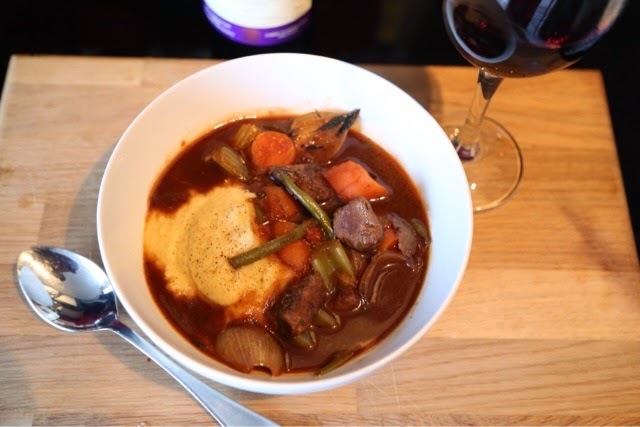 The perfectly healthy winter warmer. This recipe also features an ingredient new to my repertoire, black garlic! 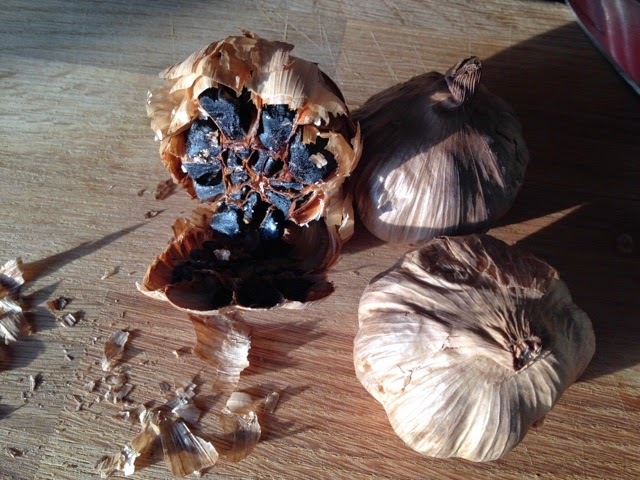 It's an aged and caramelised bulb of garlic that boasts twice the antioxidants of regular garlic. Oddly, it becomes almost jelly like and has a deep balsamic flavor. A perfect addition to my stew! Heat slow cooker to high and add the first 7 ingredients. Stir well. 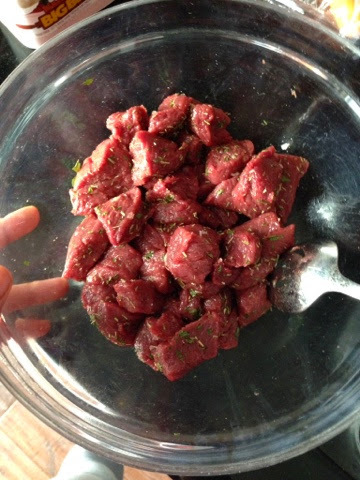 Now, toss venison in dried herbs, onion powder and salt and pepper then toss and coat evenly in flour. Heat a large skillet on high, add oil then add coated venison. Let pieces brown on one side for about 2 minutes then flip all pieces to brown for another 2 minutes. Pour all contents into slow cooker. Add all the veggies, stir and let slow cook for about 3 hours. Meanwhile, make the purée. Boil the celeriac, swede and garlic cloves on high for about 20 minutes or till soft. Strain and return to pot. Stir in sunflower oil spread, milk, salt and pepper then using a hand blender, purée till extra smooth. This can be re-heated when it's time for serving. Now, to serve, scoop purée into one side of a large bowl then ladle in the stew and enjoy!